Milk thistle is an annual or biennial herb native to the Mediterranean region, Silybum marianum (L) Gaertneri, named for the white veins on its large prickly leaves. Milk thistle is also referred to as holy thistle, Marian thistle, Mary thistle, Our Lady’s thistle, St. Mary thistle, wild artichoke, Mariendistel (German), and Chardon-Marie (French). Traditionally, the leaves have been used in salads, and the fruit of the flower has been roasted as a coffee substitute. The seed-like fruits (achenes) of milk thistle are the medicinal parts of the plant, which contain approximately 4–6% silymarin 1). The extract consists of about 65–80% silymarin (a flavonolignan complex) and 20–35% fatty acids, including linoleic acid 2). The active substance in milk thistle, silymarin, is a complex mixture of flavonolignans. Silymarin’s primary constituents are the flavonolignan isomers silybins A and B, isosilybin A and B, silychristin (also known as silichristin), silydianin (also known as silidianin), and their flavonoid precursor, taxifolin. In the literature, the mixture of the silybins A and B is often referred to as silibinin 3), 4). Silibinin, a semipurified fraction of silymarin, is primarily a mixture of 2 diastereoisomers, silybin A and silybin B, in a roughly 1:1 ratio 5). Laboratory studies demonstrate that silymarin stabilizes cellular membranes, stimulates detoxification pathways, stimulates regeneration of liver tissue, inhibits the growth of certain cancer cell lines, exerts direct cytotoxic activity toward certain cancer cell lines, and possibly increases the efficacy of certain chemotherapy agents. The extracts of milk thistle, have been used as medical remedies since the time of ancient Greece and the extracts are now widely used as an alternative medication 6). 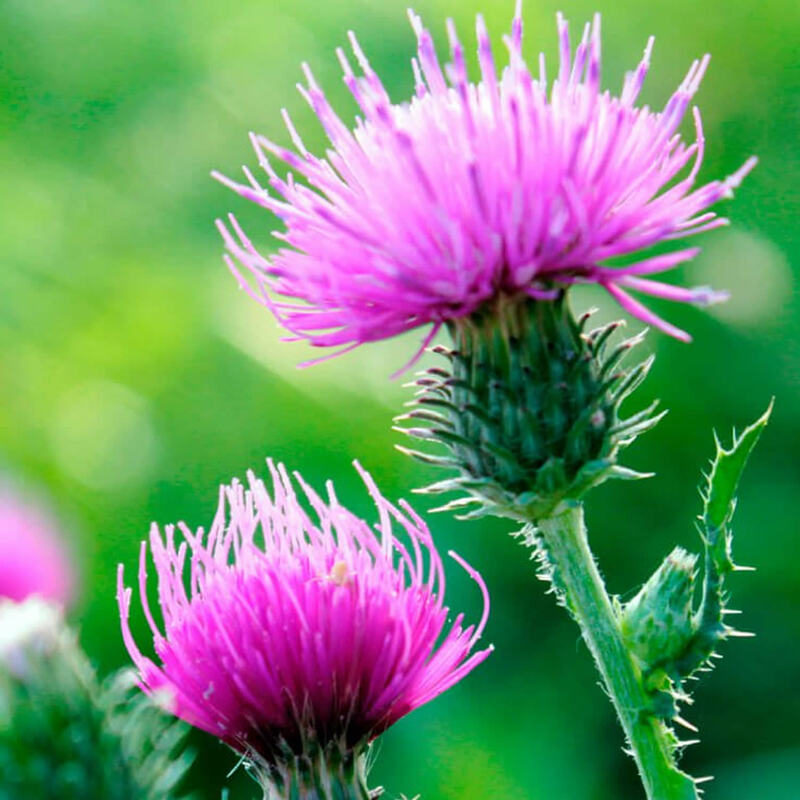 Milk thistle extracts have been shown to protect animals against various hepatotoxins including acetaminophen 7), radiation 8), iron overload 9), phalloidin 10), carbon tetrachloride 11), and thioacetamide 12). The ‘hepatoprotective’ actions of milk thistle may include inhibition of lipid peroxide formation, scavenging of free radicals, and changing of the physical properties of cell membranes 13). Milk thistle may also reduce liver fibrogenesis 14). According to a recent meta-analysis on milk thistle for patients with liver diseases no significant reduction in mortality or improvements in liver histology, or liver function could be demonstrated, but data were too limited to exclude a substantial benefit or harm of milk thistle on mortality (Lawrence 2000; Jacobs 2002). Accordingly, there is insufficient evidence to support or refute recommending this herbal compound to patients for the treatment of liver diseases (Lawrence 2000; Jacobs 2002). However, this 2007 Cochrane systematic review 15) involving thirteen randomised clinical trials assessing milk thistle in 915 patients with alcoholic and/or hepatitis B or C virus liver diseases could not demonstrate significant effects of milk thistle on mortality or complications of liver diseases in patients with alcoholic and/or hepatitis B or C liver diseases combining all trials or high-quality trials. Low-quality trials suggested beneficial effects, but this effect could not be demonstrated in high-quality trials. As the methodological quality of the majority of the trials was low, bias and/or random errors may explain some or all of the positive findings. Furthermore, these effects could neither be confirmed in a subgroup analysis including patients with alcoholic liver disease coinfected by hepatitis C virus (HCV) nor in a worst-case scenario analysis. Therefore the findings are not robust enough to form a foundation for therapeutic recommendations. On the positive side, milk thistle did not differ significantly from placebo/no intervention regarding adverse events. Therefore at the present time, there is insufficient evidence to support or refute milk thistle for patients for the treatment of alcoholic liver diseases. The reviewers suggested high-quality randomized clinical trials on milk thistle versus placebo are needed 16). The major constituents of silymarin are the three diastereomeric pairs, silybins A and B (also called silibinin), isosilybins A and B, silychristin, isosilychristin, and silydianin 17). Most supplements are standardized according to their silybin content. Special formulations of silymarin and/or the silybins have been developed to enhance their bioavailability by conjugation with phosphatidylcholine. Because of the lipophilic nature of its active constituents, milk thistle is usually administered as an extract in capsule or tablet form rather than as an herbal tea. In Europe, silybin is administered intravenously as the only effective antidote for Amanita phalloides (Fr.) 18). Humans exposed to this mushroom toxin develop serious liver failure that progresses to death. Several companies distribute milk thistle as a dietary supplement. In the United States, dietary supplements are regulated as foods, not drugs. Therefore, premarket evaluation and approval by the U.S. Food and Drug Administration (FDA) are not required unless specific disease prevention or treatment claims are made. Because dietary supplements are not formally reviewed for manufacturing consistency, ingredients may vary considerably from lot to lot; in addition, there is no guarantee that ingredients identified on product labels are present at all or are present in the specified amounts. The FDA has not approved the use of milk thistle as a treatment for cancer patients or patients with any other medical condition. Despite milk thistle’s long history of being used to treat liver and biliary complaints, it was not until 1968 that silymarin was isolated from the seeds of the plant, and it was proposed that silymarin might be the active ingredient 19). Researchers have investigated the role that silibinin may play in the treatment of hepatitis and cirrhosis. Most studies have investigated the isolated compound silymarin or its most active isomer silybin, rather than the herbal plant in its whole form. Silymarin is most well known for its purported effects on the liver. In laboratory studies, silymarin has been found to stabilize cell membranes, thus preventing toxic chemicals from entering the cell 20). Laboratory studies have also demonstrated that silymarin stimulates synthesis and activity of enzymes responsible for detoxification pathways 21). Specifically, silymarin has been shown to stimulate the glutathione S-transferase pathway and alter the intracellular concentration of glutathione (a potent antioxidant). Silymarin has also been shown to neutralize a wide range of free radicals. Reports that associate the flavonolignans with potential estrogenic effect (e.g., via mediation of the estrogen receptor) are sparse and currently not supported by in vitro or in vivo experimental evidence 22). Laboratory experiments conducted using cancer cell lines have suggested that silibinin enhances the efficacy of cisplatin and doxorubicin against ovarian and breast cancer cells 23). Silybin appears to have direct anticancer effects against prostate, breast, and ectocervical tumor cells 24). Silybin may also affect the cell cycle in cancer cells by slowing down cell growth, as demonstrated with prostate cancer cell lines 25). Laboratory studies using leukemia cell lines found that silybin did not stimulate growth of leukemia cells 26). Most clinical trials have investigated silymarin’s effectiveness in the treatment of patients with hepatitis, cirrhosis, or biliary disorders 27). These studies have employed a wide range of doses (120–560 mg /day) and have yielded conflicting results 28), 29). The most commonly reported adverse effects are a mild laxative effect and gastrointestinal upset. Several small studies have investigated silymarin for its direct treatment of cancer or for its effects on treatment-related toxicity. A phase I study was designed to determine the maximum tolerated dose per day of silybin phosphatidylcholine (Siliphos) in patients with advanced hepatocellular carcinoma (HCC) and hepatic dysfunction 30). Three patients were enrolled in this single-institution trial. All patients who were enrolled consumed 2 g /d of the study agent in divided doses. Serum concentrations of silibinin and silibinin glucuronide increased within 1 to 3 weeks. In all three patients, liver function abnormalities and tumor marker alpha-fetoprotein progressed, but after day 56, the third patient showed some improvement in liver function abnormalities and inflammatory biomarkers. All three patients died within 23 to 69 days of enrolling in the trial, likely from hepatic failure, but it could not be ruled out that deaths were possibly caused by the study drug. This patient population may have been too ill to benefit from an intervention designed to improve liver function tests. In a double-blind, placebo-controlled trial, 50 children who were undergoing treatment for acute lymphoblastic leukemia, and who had chemotherapy -related hepatotoxicity, were randomly assigned to receive silymarin or placebo for a 4-week period 31). Four weeks after completion of the intervention, the silymarin group had a significantly lower aspartate aminotransferase (AST) and a trend towards a significantly lower alanine aminotransferase (ALT). Fewer chemotherapy dose reductions were observed in the silymarin group compared with the placebo group; however, the difference was not significant. No adverse events were reported. A randomized placebo-controlled study of 37 men, who had a status of post–radical prostatectomy, investigated whether a 6-month daily administration of a silymarin and selenium combination would alter basic clinical chemistry, oxidative stress markers, and improve the quality-of-life (QOL) score in men after radical prostatectomy 32). The 6-month daily administration of silymarin and selenium improved the QOL score, decreased low-density lipoproteins and total cholesterol, and increased serum selenium levels. The combination had no effect on blood antioxidant status and no influence on testosterone level. No adverse events were recorded. No improvement was found in the placebo group. Another randomized placebo-controlled study of 30 patients with head and neck cancer investigated a 6-week course of silymarin for the prevention of radiation therapy –associated mucositis. Mucositis scores (World Health Organization, National Cancer Institute Common Toxicity Criteria) were significantly lower in the silymarin group 33). Delay in progression to mucositis was also observed. In a nonrandomized observational trial of 101 women with breast cancer who had undergone breast-conserving surgery followed by radiation therapy with 50.4 Gy plus a boost of 9 Gy to 16 Gy, a silymarin-based cream (Leviaderm) was tested in 51 women compared with panthenol-containing cream, the standard of care (SOC), which was given interventionally if local skin lesions occurred and administered to 50 women 34). The acute skin reactions were classified according to the Radiation Therapy Oncology Group and visual analog scale scores. The median time to toxicity was prolonged significantly with the silymarin-based cream (45 vs. 29 days SOC). Only 9.8% of patients using the silymarin-based cream showed grade 2 toxicity in week 5 of radiation therapy, compared with 52% in the SOC group. At the end of radiation therapy, 23.5% of the women in the silymarin-based study group developed no skin reactions compared with 2% of the women in the SOC group, while grade 3 toxicity occurred in only 2% of women in the silymarin-based group and in 28% of women in the SOC group. There has been skepticism regarding the evidence that silymarin has a direct impact on the hepatitis C virus (HCV)—some studies suggest that it does, but most studies cannot confirm these reports. However, at least two articles in major journals have suggested that silymarin or its congeners may inhibit hepatitis C virus (HCV). In one report, investigators found that a standardized silymarin extract inhibited tumor necrosis factor -alpha in anti-CD3–stimulated human peripheral blood mononuclear cells and nuclear factor-kappa B –dependent transcription in human hepatoma Huh-7 cells 35). Silymarin also displayed prophylactic and therapeutic effects against HCV infection, and when combined with interferon-alpha, was more inhibitory of HCV replication than was interferon alone. This indicates that silymarin has anti-inflammatory and antiviral effects in patients with chronic hepatitis C.
Silymarin (Silybum marianum), an extract of milk thistle, is the botanical treatment most commonly used for liver disorders in the United States, owing to its purported hepatoprotective properties 36). Indeed, 33% of patients with chronic hepatitis C virus (HCV) infection and cirrhosis reported current or past use of silymarin for the treatment of their disease 37). Silymarin has been demonstrated to have anti-inflammatory and immunomodulatory properties via inhibition of NF-κB (nuclear factor κ-light-chain-enhancer of activated B cells), as demonstrated in vitro 38). Studies of silymarin in the hepatitis C virus replicon system also suggest an effect on hepatitis C virus core and NS5A expression, although at high concentrations 39). These same pathways, implicated in the pathogenesis of chronic liver disease, provide the rationale to investigate silymarin as a potential treatment for chronic hepatitis C virus infection. A 2008 Hepatitis C Antiviral Long-Term Treatment Against Cirrhosis (HALT-C) randomized, controlled trial supported by the National Institute of Diabetes and Digestive and Kidney Diseases examined patients with chronic hepatitis C who had failed previous antiviral therapy. All patients had advanced chronic liver disease consisting of histologic evidence of either marked fibrosis or cirrhosis. The Hepatitis C Antiviral Long-Term Treatment Against Cirrhosis trial used a half dose of pegylated interferon versus no treatment; the treatment was to be administered for 3.5 years 40). The aim was to reduce progression of chronic hepatitis C, particularly in the development of liver cancer. Among 1,145 study participants, 56% had never taken herbal products, 21% admitted past use, and 23% were using herbal products at enrollment. Silymarin constituted 72% of the 60 herbal products used at enrollment. Users had significantly fewer symptoms and a better quality of life than did nonusers. In follow-up, silymarin use was associated with reduced progression of fibrosis to cirrhosis but without an impact on clinical outcome 41). A 2012 clinical trial, involving 154 patients with chronic hepatitis C virus infection were randomly allocated to receive 420-mg silymarin, 700-mg silymarin, or matching placebo gelatin capsules administered 3 times daily for 24 weeks 42). Most participants were men (71%); the median age was 54 years, and the median body mass index was 29.2 kg/m2. The majority of patients had hepatitis C virus genotype 1 infection (91%). The median hepatitis C virus RNA level was 6.2 log10 IU/L and was similar in the 3 treatment groups. Serum ALT levels did not differ significantly (median, 106 U/L for placebo; 110 U/L for 420-mg silymarin; and 105 U/L for 700-mg silymarin) across treatment groups. Markers suggestive of advanced liver disease (serum bilirubin levels, albumin levels, platelet counts) did not differ significantly across treatment groups. This standardized silymarin product and dosage is approved as a prescription drug in several countries of Europe and Asia as a treatment for hepatic disorders. The primary outcome measure for efficacy was serum ALT level of 45 U/L or less (approximate normal range) or attainment of at least 50% decline of serum ALT level to less than 65 U/L (approximately 1.5 times the upper limit of normal) after the 24-week treatment period. The change in serum ALT level was chosen as the primary outcome in this study as a practical measure that has been correlated with improvement in hepatic necroinflammatory activity during studies of interferon for hepatitis C virus infection 43). Secondary outcomes included change in serum ALT and serum hepatitis C virus RNA levels during treatment. Adherence to study medication was assessed by dose counts. At the end of treatment, 5 participants achieved serum ALT activity less than 45 U/L; 1 in the placebo group and 2 each in the 420-mg silymarin and 700-mg silymarin. One other participant treated with placebo had a decrease of serum ALT levels to less than 65 U/L, which reflected a decrease of 57% from baseline. Thus, 2 participants in each treatment group achieved the prespecified primary end point. The percentages of participants who achieved the primary end point were 3.8% in the placebo group, 4.0% in the 420-mg silymarin group, and 3.8% in the 700-mg silymarin group. In conclusion, the researchers found that silymarin did not significantly improve serum ALT levels – no change in virus activity or liver inflammation – compared with placebo when administered to patients with chronic hepatitis C virus infection previously unsuccessfully treated with interferon-based therapy 44). Silymarin was found to be beneficial as an adjunct to the iron chelator desferrioxamine in patients with transfusion -dependent beta-thalassemia major 45). In a study of 97 patients, significant decreases in markers of iron overload (serum ferritin, serum iron, hepcidin, and soluble transferring receptor) were observed in the patients who received silymarin as compared with those who received a placebo. This 2013 clinical study 46) shows that silymarin is effective at reducing iron overload in young people with a particular form of anemia (Cooley’s anemia or β-thalassemia) when used in conjunction with desferrioxamine. Therapeutic effects of silymarin on a background of desferrioxamine suggest the potential effectiveness of silymarin alone in reducing body iron burden. In that study patients were treated with the combination of desferrioxamine and silymarin (Legalon(®) ; n = 49) or desferrioxamine plus placebo (n = 48) for 9 months. The serum levels of ferritin, iron, total iron-binding capacity (TIBC), soluble transferrin receptor, and hepcidin were determined at the baseline and after 9-month therapy. Liver function test was performed before and after treatment in both groups. After 9 months of treatment, serum ferritin levels decreased significantly from the beginning to the end of silymarin treatment (3028.8 ± 2002.6 vs. 1972.2 ± 1250.6 ng/mL); however, no significant change in serum ferritin was observed in the patients receiving placebo (2249.0 ± 1304.2 vs. 2015.6 ± 1146.8). Moreover, serum iron and TIBC levels were significantly reduced in silymarin group compared with placebo. Patients on silymarin therapy also exhibited a significant decrease in serum levels of hepcidin and soluble transferrin receptor after 9-month treatment period. A significant improvement in liver function test was observed in silymarin group in comparison with placebo 47). This study shows that silymarin is effective at reducing iron overload in patients when used in conjunction with desferrioxamine. Therapeutic effects of silymarin on a background of desferrioxamine suggest the potential effectiveness of silymarin alone in reducing body iron burden. Another published report describes the use of silibinin as the only effective antidote in patients with liver damage from Amanita phalloides (Fr.) poisoning 48). Patients were administered doses of 35 to 55 mg/kg of body weight, with no reports of adverse events. A retrospective review of the treatment for Amanita phalloides (Fr.) poisoning suggests that silymarin has been shown to be an effective drug in the treatment of this mushroom poisoning 49). The beneficial effect of silymarin on liver histology suggests it has a role in the prevention of hepatitis and/or hepatocellular carcinoma (HCC); however, no clinical trials in humans have investigated these uses of silymarin. Milk thistle has not been implicated in causing liver injury and appears to be safe when taken in appropriate doses and might play a role in treating certain liver conditions 50). Taken in appropriate doses, oral use of milk thistle appears to be safe 51). Human studies of silymarin have shown minimal adverse effects in multiple large, blinded, placebo-controlled, randomized studies. Silymarin is well tolerated, with only rare reports of a mild laxative effect. Mild allergic reactions have been seen at high doses (>1,500 mg /day), although the details of these allergic reactions were not reported. A case report from Australia described a reaction to a milk thistle extract that included intermittent episodes of sweating, abdominal cramping, nausea, vomiting, diarrhea, and weakness 52). All symptoms resolved when the silymarin was discontinued. The authors suggested that the capsules were contaminated; the type of contamination was unknown. According to the German Commission E, there are no reported side effects with milk thistle when the recommended doses are used. Rare cases of milk thistle producing a laxative effect have been reported. Human studies have reported stomach upset, heartburn, and transient headaches; however, none of these symptoms were attributed to supplementation with milk thistle, and supplementation was not discontinued 53). One human dosing study reported nausea, heartburn, and dyspepsia in patients treated with 160 mg/day, dyspepsia in patients treated with 240 mg/day, and postprandial nausea and meteorism in patients treated with 360 mg/day. None of these side effects were dose related. Silymarin has been well tolerated in high doses. Silymarin has been used in pregnant women with intrahepatic cholestasis at doses of 560 mg/day for 16 days, with no toxicity to the patient or the fetus 54). The published data on silymarin use in children focuses on intravenous doses of 20 to 50 mg/kg of body weight for mushroom poisoning 55). Silymarin has also proved nontoxic in rats and mice when administered in doses as high as 5,000 mg/kg of body weight. Rats and dogs have received silymarin at doses of 50 to 2,500 mg/kg of body weight for a 12-month period. Investigations, including postmortem analyses, showed no evidence of toxicity. It is not known whether milk thistle may reduce, enhance, or have no impact on the effectiveness of chemotherapy. In vitro studies show that silymarin decreases the components of the cytochrome P450 enzyme system, which is involved in the clearance of certain chemotherapy drugs 56). However, the dose at which inhibition is observed is high and not achieved with oral intake of silymarin 57). One study investigated the effects of silymarin on the pharmacokinetics of irinotecan. Oral administration of milk thistle (200 mg, a clinically relevant dose, 3 times per day) had no significant effects on the pharmacokinetics of irinotecan. The authors concluded that the recommended doses of milk thistle are too low to affect activity of CYP3A4 or UGT1A1 enzyme pathways 58). Theoretically, milk thistle may also interact adversely with chemotherapy drugs that exert their cytotoxic effects through the generation of free radicals. Silymarin and its metabolite inhibit p-glycoprotein–mediated cellular efflux, leading to the potentiation of doxorubicin cytotoxicity 59). No trials have been performed to support or negate these theoretical considerations. No effects on indinavir and alcohol pharmacokinetics have been observed. Enhancement of the antiarrhythmic effects of amiodarone in rats has been observed 59). If you have diabetes, use milk thistle with caution, since the supplement might lower blood sugar. There is also concern that milk thistle might have estrogenic effects. If you have breast cancer, uterine cancer, ovarian cancer, endometriosis or uterine fibroids, consider avoiding milk thistle. Milk thistle can cause an allergic reaction, including a severe, potentially life-threatening allergic reaction (anaphylaxis). An allergic reaction is more common in people who are allergic to other plants in the asteraceae family, such as ragweed, daisies, marigolds and chrysanthemums. Cytochrome P450 2C9 (CYP2C9) substrates. Taking milk thistle might affect this enzyme and drugs it processes, such as diazepam (Valium), warfarin (Coumadin, Jantoven) and others. Diabetes medications. Milk thistle might lower blood sugar in people who have type 2 diabetes. Taking milk thistle with diabetes drugs might cause additive effects. 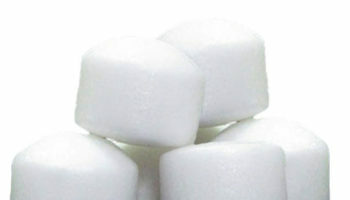 Closely monitor your blood sugar levels. Metronidazole (Flagyl). Milk thistle might reduce the effectiveness of this antibiotic. Avoid using milk thistle and metronidazole together. Simeprevir (Olysio). Taking milk thistle with this hepatitis C medication might increase the concentrations of the drug in your blood plasma. Avoid using milk thistle and simeprevir together. Sirolimus (Rapamune). Taking milk thistle with this immunosuppressant might change the way your body processes the medication. 4. ↵ Luper S. A review of plants used in the treatment of liver disease: part 1. Alternative Medicine Review 1998;3(6):410-21. 6. ↵ Saller R, Meier R, Brignoli R. The use of sillymarin in the treatment of liver diseases. Drugs 2001;61:2035-63. 7. ↵ Muriel P, Garciapina T, Perez Alvarez V, Mourelle M. Silymarin protects against paracetamol-induced lipid peroxidation and liver damage. Journal of Applied Toxicology 1992;12:439-42. 8. ↵ Hakova H, Misurova E. The effect of silymarin and gamma radiation on nucleid acids in rat organs. The Journal of Pharmacy and Pharmacology 1993;45:910-2. 9. ↵ Szilard S, Szentgyorgyi D, Demeter I. Protective effect of Legalon in workers exposed to organic solvent. Acta Medica Hungarica 1988;45(2):249-56. 10. ↵ Tuchweber B, Sieck R, Trost W. Prevention of silybin of phalloidin-induced acute hepatotoxicity. Toxicology and Applied Pharmacology 1979;51:265-75. 11. ↵ Halim AB, el-Ahmady O, Hassab-Allah S, Abdel-Galil F, Hafez Y, Darwish A. Biochemical effect of antioxidants on lipids and liver function in experimentally-induced liver damage. Annals of Clinical Biochemistry 1997;34(Pt 6):656-63. 12. ↵ Schriewer H, Badde R, Roth G, Rauen HM. The anti-hepatoxic effect of silymarin on thioacetamide-induced liver-damage. Arzneimittelforschung 1973;23:160. 13. ↵ Flora K, Hahn M, Rosen H, Benner K. Milk thistle (Silybum marianum) for the therapy of liver disease. The American Journal of Gastroenterology 1998;93(2):139-43. 14. ↵ Lieber CS, Leo MA, Cao Q, Ren C, DeCarli L. Silymarin retards the progression of alcohol-induced hepatic fibrosis in baboons. Journal of Clinical Gastroenterology 2003;37:336-9. 23. ↵ Scambia G, De Vincenzo R, Ranelletti FO, et al. : Antiproliferative effect of silybin on gynaecological malignancies: synergism with cisplatin and doxorubicin. Eur J Cancer 32A (5): 877-82, 1996. 24. ↵ Bhatia N, Zhao J, Wolf DM, et al. : Inhibition of human carcinoma cell growth and DNA synthesis by silibinin, an active constituent of milk thistle: comparison with silymarin. Cancer Lett 147 (1-2): 77-84, 1999. 25. ↵ Zi X, Agarwal R: Silibinin decreases prostate-specific antigen with cell growth inhibition via G1 arrest, leading to differentiation of prostate carcinoma cells: implications for prostate cancer intervention. Proc Natl Acad Sci U S A 96 (13): 7490-5, 1999. 26. ↵ Duthie SJ, Johnson W, Dobson VL: The effect of dietary flavonoids on DNA damage (strand breaks and oxidised pyrimdines) and growth in human cells. Mutat Res 390 (1-2): 141-51, 1997. 27. ↵ Parés A, Planas R, Torres M, et al. : Effects of silymarin in alcoholic patients with cirrhosis of the liver: results of a controlled, double-blind, randomized and multicenter trial. J Hepatol 28 (4): 615-21, 1998. 30. ↵ Siegel AB, Narayan R, Rodriguez R, et al. : A phase I dose-finding study of silybin phosphatidylcholine (milk thistle) in patients with advanced hepatocellular carcinoma. Integr Cancer Ther 13 (1): 46-53, 2014. 31. ↵ Ladas EJ, Kroll DJ, Oberlies NH, et al. : A randomized, controlled, double-blind, pilot study of milk thistle for the treatment of hepatotoxicity in childhood acute lymphoblastic leukemia (ALL). Cancer 116 (2): 506-13, 2010. 32. ↵ Vidlar A, Vostalova J, Ulrichova J, et al. : The safety and efficacy of a silymarin and selenium combination in men after radical prostatectomy – a six month placebo-controlled double-blind clinical trial. Biomed Pap Med Fac Univ Palacky Olomouc Czech Repub 154 (3): 239-44, 2010. 33. ↵ Elyasi S, Hosseini S, Niazi Moghadam MR, et al. : Effect of Oral Silymarin Administration on Prevention of Radiotherapy Induced Mucositis: A Randomized, Double-Blinded, Placebo-Controlled Clinical Trial. Phytother Res 30 (11): 1879-1885, 2016. 34. ↵ Becker-Schiebe M, Mengs U, Schaefer M, et al. : Topical use of a silymarin-based preparation to prevent radiodermatitis : results of a prospective study in breast cancer patients. Strahlenther Onkol 187 (8): 485-91, 2011. 35. ↵ Polyak SJ, Morishima C, Shuhart MC, et al. : Inhibition of T-cell inflammatory cytokines, hepatocyte NF-kappaB signaling, and HCV infection by standardized Silymarin. Gastroenterology 132 (5): 1925-36, 2007. 41. ↵ Freedman ND, Curto TM, Morishima C, et al. : Silymarin use and liver disease progression in the Hepatitis C Antiviral Long-Term Treatment against Cirrhosis trial. Aliment Pharmacol Ther 33 (1): 127-37, 2011. 43. ↵ Rationale, challenges, and participants in a Phase II trial of a botanical product for chronic hepatitis C. Reddy KR, Belle SH, Fried MW, Afdhal N, Navarro VJ, Hawke RL, Wahed AS, Doo E, Meyers CM, SyNCH Study Group. Clin Trials. 2012 Feb; 9(1):102-12. 48, 55. ↵ Hruby K, Csomos G, Fuhrmann M, et al. : Chemotherapy of Amanita phalloides poisoning with intravenous silibinin. Hum Toxicol 2 (2): 183-95, 1983. 49. ↵ Enjalbert F, Rapior S, Nouguier-Soulé J, et al. : Treatment of amatoxin poisoning: 20-year retrospective analysis. J Toxicol Clin Toxicol 40 (6): 715-57, 2002. 52. ↵ An adverse reaction to the herbal medication milk thistle (Silybum marianum). Adverse Drug Reactions Advisory Committee. Med J Aust 170 (5): 218-9, 1999. 53. ↵ Vailati A, Aristia L, Sozzé E, et al. : Randomized open study of the dose-effect relationship of a short course of IdB 1016 in patients with viral or alcoholic hepatitis. Fitoterapia 64 (3), 219-28, 1993. 54. ↵ Hernández R, Nazar E: [Effect of silymarin in intrahepatic cholestasis of pregnancy (preliminary communication)] Rev Chil Obstet Ginecol 47 (1): 22-9, 1982. 56. ↵ Venkataramanan R, Ramachandran V, Komoroski BJ, et al. : Milk thistle, a herbal supplement, decreases the activity of CYP3A4 and uridine diphosphoglucuronosyl transferase in human hepatocyte cultures. Drug Metab Dispos 28 (11): 1270-3, 2000. 57. ↵ Zuber R, Modrianský M, Dvorák Z, et al. : Effect of silybin and its congeners on human liver microsomal cytochrome P450 activities. Phytother Res 16 (7): 632-8, 2002. 58. ↵ van Erp NP, Baker SD, Zhao M, et al. : Effect of milk thistle (Silybum marianum) on the pharmacokinetics of irinotecan. Clin Cancer Res 11 (21): 7800-6, 2005. 59. ↵ Hu Z, Yang X, Ho PC, et al. : Herb-drug interactions: a literature review. Drugs 65 (9): 1239-82, 2005.